Tis’ the season for DIY gifts, and Fabric.com has everything you need to get started on your next project. Whether you’re quilting, sewing Christmas pajamas or making festive accent pillows, Fabric.com has the perfect print and material to get you started. 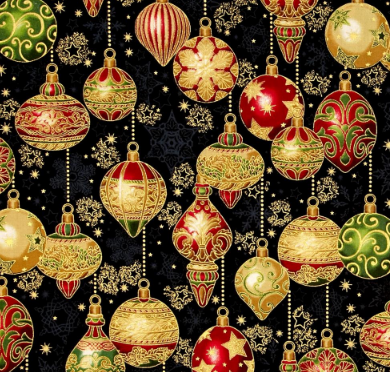 Here are a few of our favorite holiday patterns! This Minky fabric comes in yellow, blue, green and red. Its softness makes it perfect for baby accessories, blankets, throw, pillows or stuffed animals. 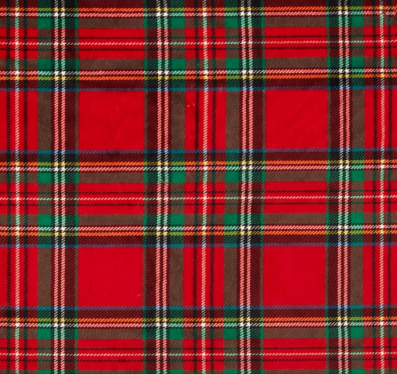 This lightweight cotton fabric is perfect for home décor projects, quilting or apparel for the holidays. The print features poinsettias and metallic accents and includes hints of black, grey, various shades of green, various shades or red, golden tan and metallic gold. 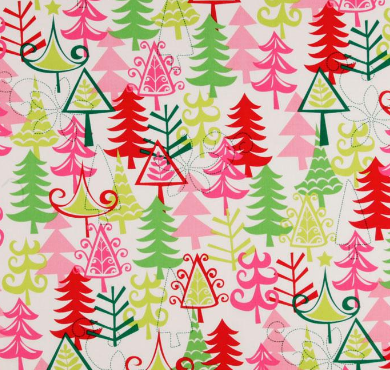 This whimsical pattern is not your typical holiday fabric! Enjoy a funky twist with fuchsia, green, pink and lime on a white background. Perfect for projects that bring a fun, modern update to the holidays. 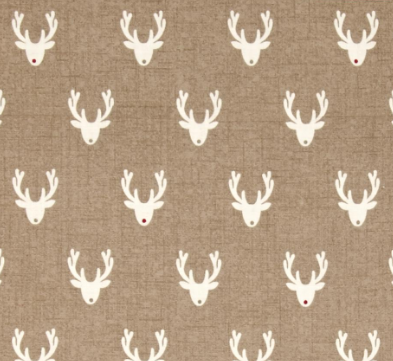 This 100% cotton fabric features white reindeer heads with red noses and is perfect for the Rudolph fans in your life! The simple yet fun pattern is perfect for small crafts, pillows, holiday stockings and more. Buying a high-quality industrial sewing machine makes upholstery sewing projects easier than they would be with an average household sewing machine. Upholstery and re-upholstery jobs are easier to do with an industrial machine than on a regular household machine. The sewing fabric used for upholstery is heavy to begin with. Then, it is often necessary to attach the fabric to foam backing. Not just any sewing machine will be able to stitch through that kind of thickness without either breaking needles or the machine itself. A sewing stitch rate in the range of 5,000 stitches per minute. To get a good industrial machine be aware of deceptive terminology. Semi-industrial, heavy-duty, and industrial strength do not actually indicate that the machine in question is an industrial sewing machine. To determine if the sewing machine is actually an industrial sewing machine check the motor's horsepower and the stitch speed. The best thing to do when it is time to buy an industrial sewing machine is - do a little bit of research so the machine will do the needed job. It is one thing to know a big bobbin machine is what is needed. It is even better to know how a big bobbin looks. There is nothing wrong with asking a lot of questions and taking the time to research sewing machine features. If in doubt it is helpful to take an experienced industrial sewing machine operator to inspect the machine before purchasing it. Pick up the e-book, How to Start an Upholstery Shop (Insider Secrets for Upholsterers) to learn more about buying an industrial machine and many other industry insider's tips on starting an upholstery business. Powerful industrial sewing machines can sew through heavy material other machines cannot touch, but they can be dangerous if you do not follow the rules and listen to safety precautions. Driven by a powerful 1/2 to 3/4 horse motor, the needle on an industrial sewing machine can slam down with a hammer-like force up to 5,000 times per minute. High-speed powerful impacts mean operators need to be careful when sewing or maintaining the machines in order to prevent injury. Wearing personal protective equipment, or PPE, and paying attention to the rules for safely operating these high-speed sewing machines can help keep you injury-free. Do not leave the power on when the machine is not in use. Do not let small children or animals play around the machine when the power is on. Watch where you are sewing and do not sew your fingers. Do not remove safety features from the machine. If the machine does not have finger guards, see about getting them installed. As an industrial sewing machine operator, you have the responsibility to keep yourself safe. If you do not wear the necessary protective gear, you are the one who will feel the pain when something goes wrong. If you work for someone else and they do not provide eye or hearing protection, you should either ask them for the needed PPE, or pick it up yourself as soon as possible. If you leave the power on when working on the machine, or you let your fingers get under a moving needle assembly, you will be the one hurt, so shut the power off. Watch ahead when you are sewing and slow down before you hit thick seams or material. Keep yourself and others safe by turning the machine off at the switch or unplugging it when it is not in use. Pick up the e-book, How to Start an Upholstery Shop (Insider Secrets for Upholsterers) to learn more about safely operating an industrial machine and many other industry insider's tips on starting an upholstery business. If you have an industrial sewing machine (I'm using my Consew 225 as an example,) you have a "work-horse" of a sewing machine. If you don't maintain it, though, it won't perform as well as it should. One way to clean lint from the inner workings of your industrial sewing machine is to gently flick them away with a small paint brush. Pay special attention to the bobbin case, making sure all signs of lint and bits of thread are gone. While a brush will work, an air compressor nozzle or can of compressed air, like you use on a computer, are the best ways to clean your Consew sewing machine, or any industrial. Just direct the air flow at the bobbin case and blow debris away from the sewing machine's moving parts. Open the machine's upper cases, too, and clean around all moving parts. (Consew 225 Example) Oil your Consew each time you start it up, and oil the bobbin case with every other bobbin change to get the most out of your machine. Frequent oiling is a must for the 225 model Consew, because the machine is capable of making 1,000 stitches per minute, and that's a lot of friction if the machine is not well-oiled. Most of the spots you need to oil are marked with red paint, but you also need to add 2 or three drops of oil to the outer edge of the bobbin case, to the knuckle-shaped spot on the front of the machine's case, and to the moving places on the back of the machine. You should also see two silver circles with little metal ball-bearings in the centers. Press the tip of the oil can's nozzle on the metal balls and push down, then squirt a drop of oil in each of them.